Informal waste recyclers (waste pickers and informal waste collectors) constitute 1% of urban population in developing nations as per the World Bank. 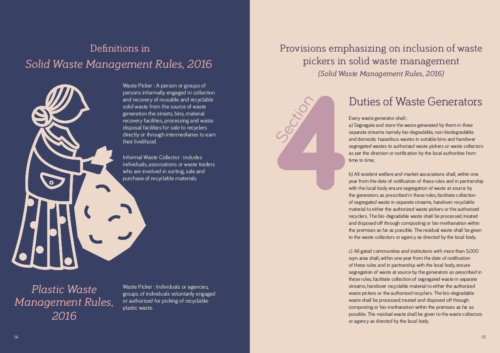 As an occupational group, waste pickers remain at the bottom of the recycling sector pyramid. They are often unlettered, belong to minority groups and have very little leverage to access basic human rights such as right to health, education and livelihood. While this sector is vibrant, it is also marginalized with no stable source of income. Regional, national and state level policies on waste can often displace large numbers of waste pickers. Recognizing this situation, the Alliance of Indian Waste-pickers, with financial support from National Safai Karamacharis Finance & Development Corporation (NSKFDC), has launched a national training programme for skill up-gradation. 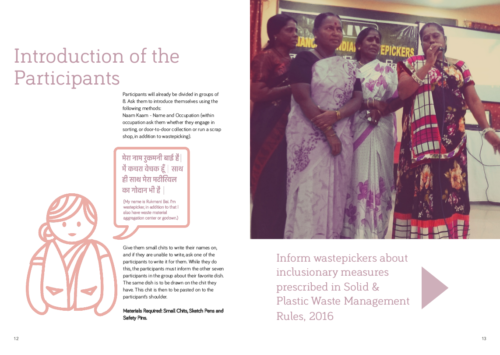 This training manual offers information on accessing available schemes to the highly marginalized group of waste pickers in India. The manual flows from enumerating the various available benefits and schemes to methods to access them. The manual ends with suggestions for further advocacy for improving access to the schemes. This final section stands on the assumption that improvements can only be achieved by organizing and mobilizing this sector. The training manual will be translated to regional languages like Kannada, Tamil, Marathi, Gujarati and Hindi. Trainers are encouraged to innovate with local approaches to enhance participation. We welcome feedback and suggestions for improvement of the manual. Leave your comment to this post! 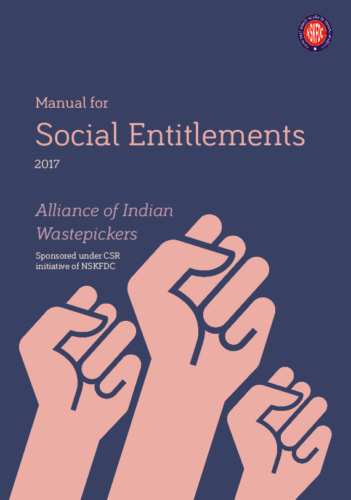 The main objective of the course is to build awareness within the waste picker community about their rights which include accessing social welfare benefits. 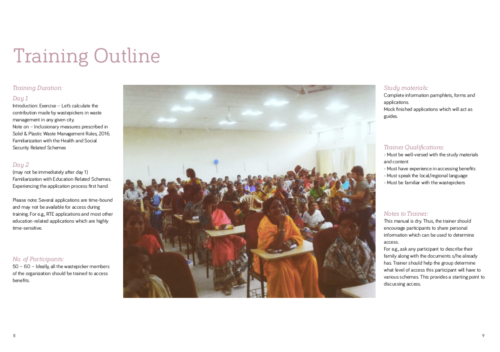 The second part of this module is on ‘How to access these benefits through organization and mobilization at the grassroots. To assess the manual you can click download the PDF here.